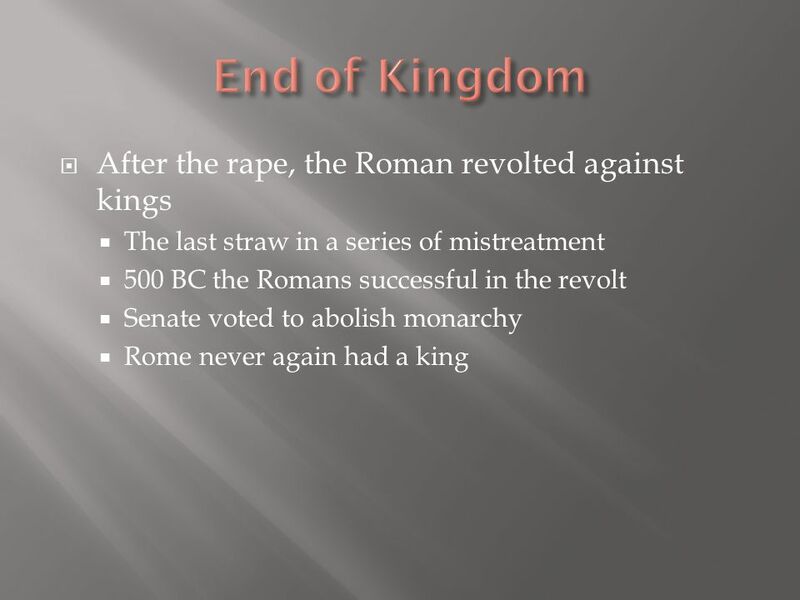 Myth to Fall of an Empire. 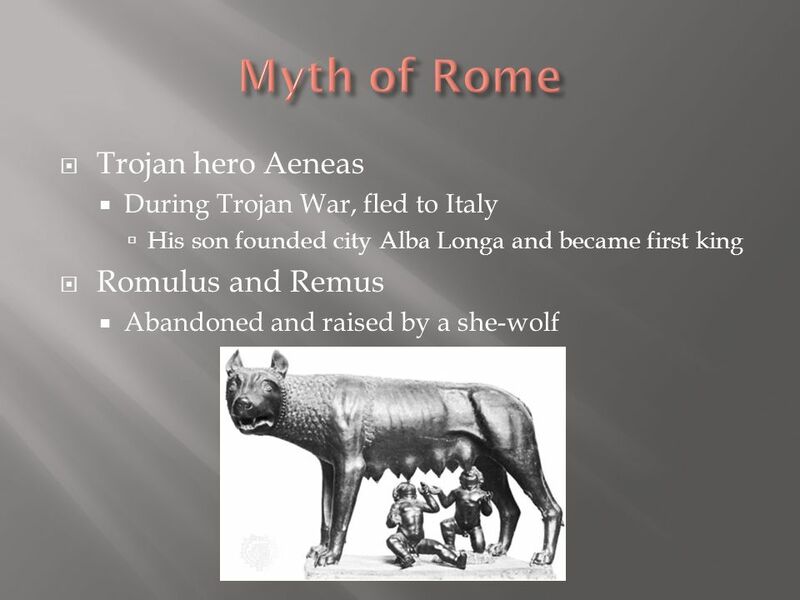  Trojan hero Aeneas  During Trojan War, fled to Italy  His son founded city Alba Longa and became first king  Romulus and. 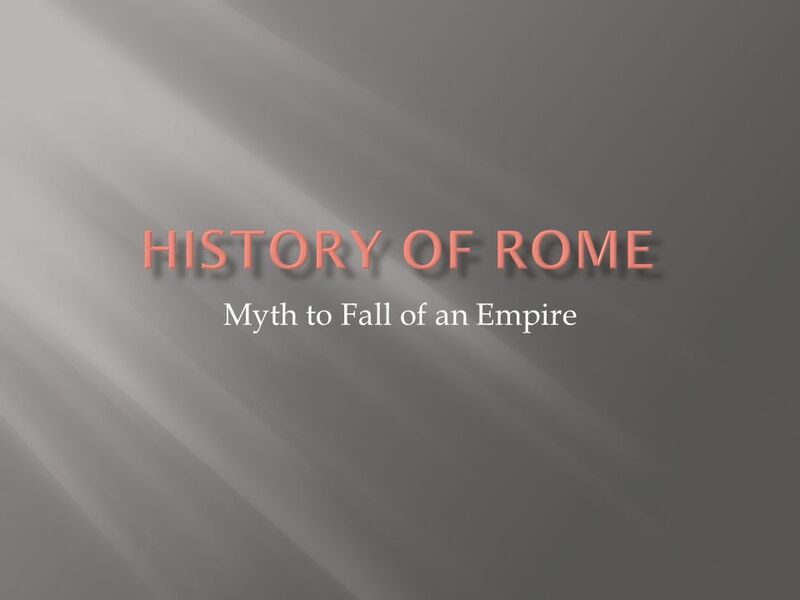 Download ppt "Myth to Fall of an Empire. 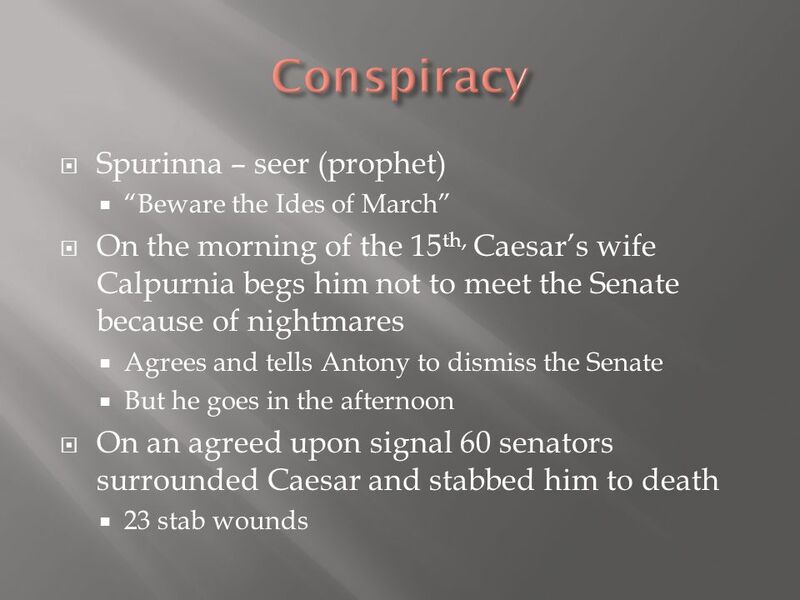  Trojan hero Aeneas  During Trojan War, fled to Italy  His son founded city Alba Longa and became first king  Romulus and." 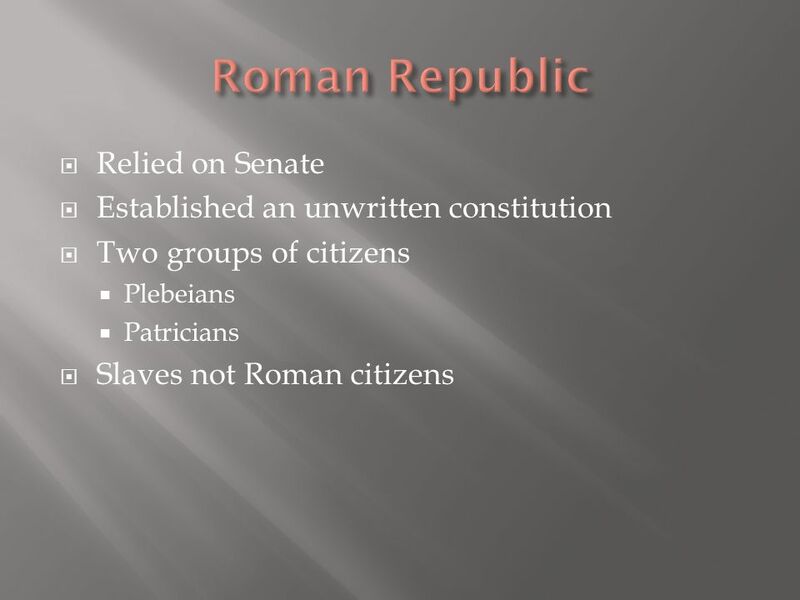 The Late Roman Republic “From Republic to Empire”.  General  Powerful Public Speaker  Had huge following among Rome’s poor. 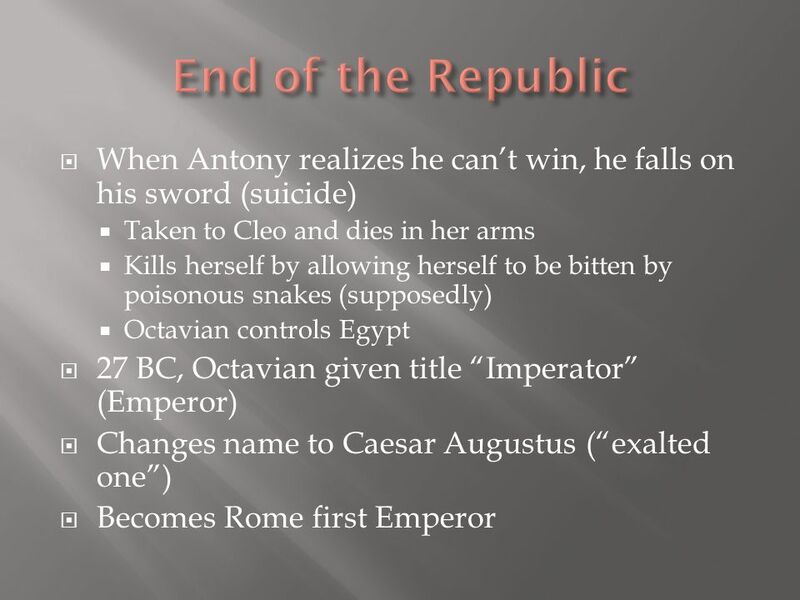 Ch 8, Sec 3: The Fall of the Republic. 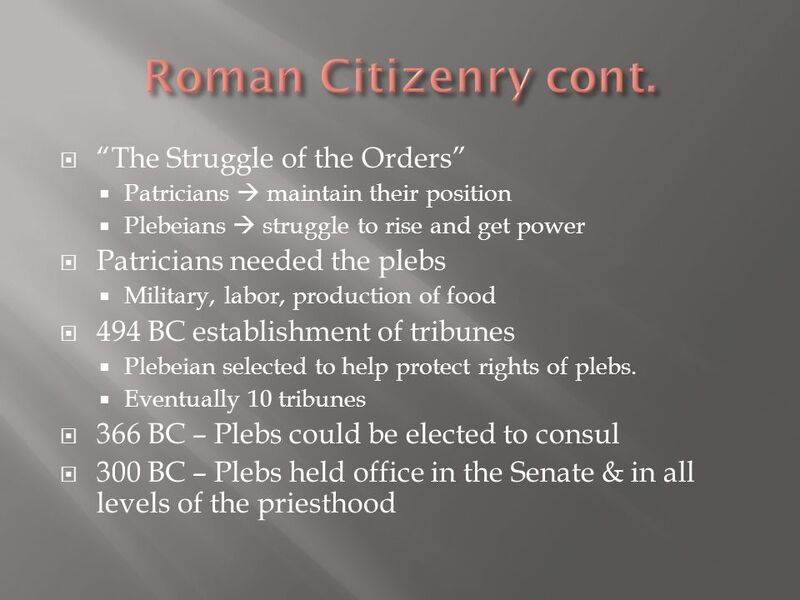 Problems in Rome Gov’t officials stole money Problems between rich and poor were never solved Farms were destroyed. 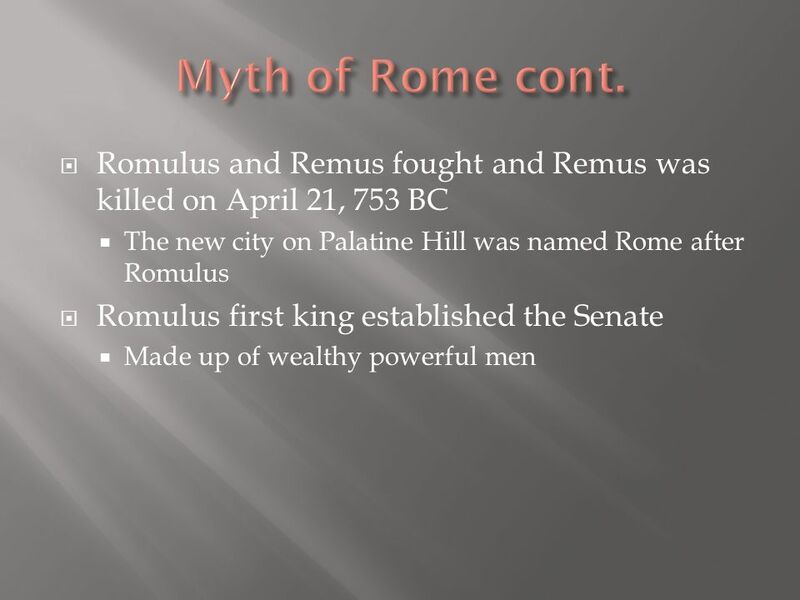 Chapter 6 ROME Pre-TEST. 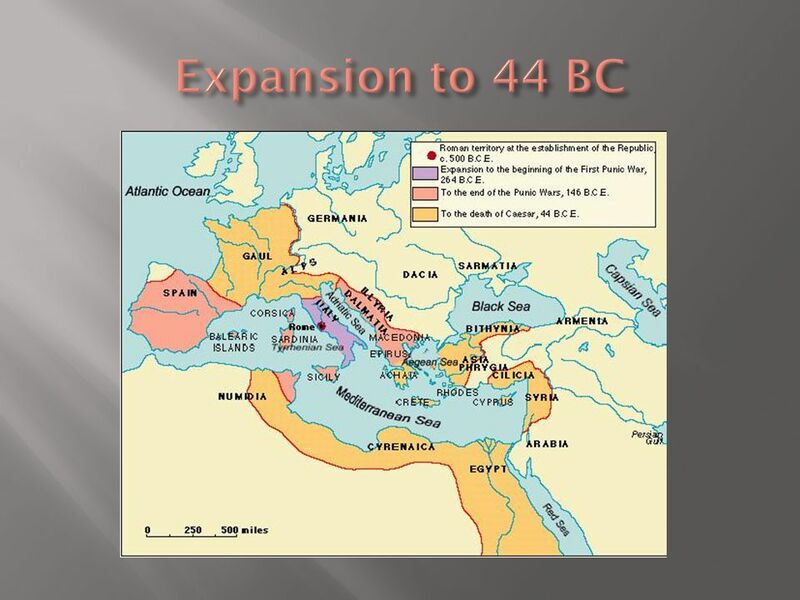 Rome is a city on this peninsula. – Danish – Italian – Greek – Yucatan. 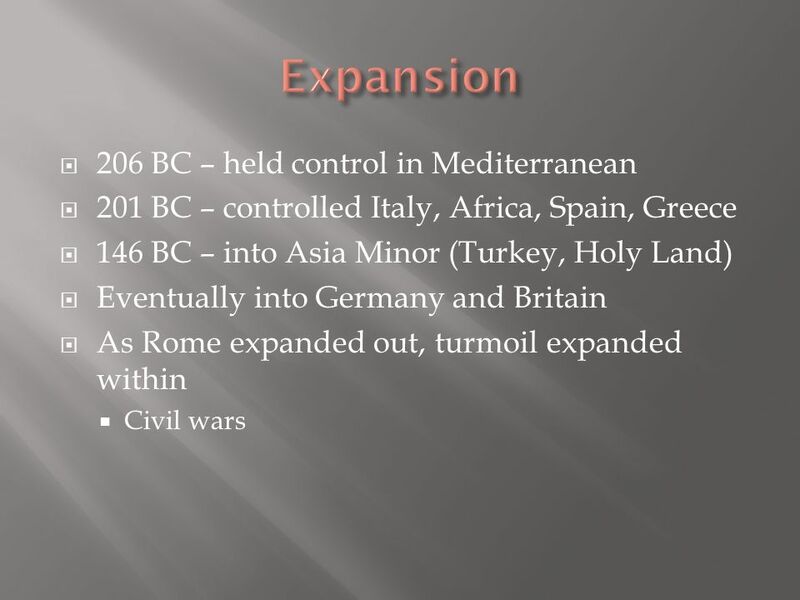 RISE OF ROME. 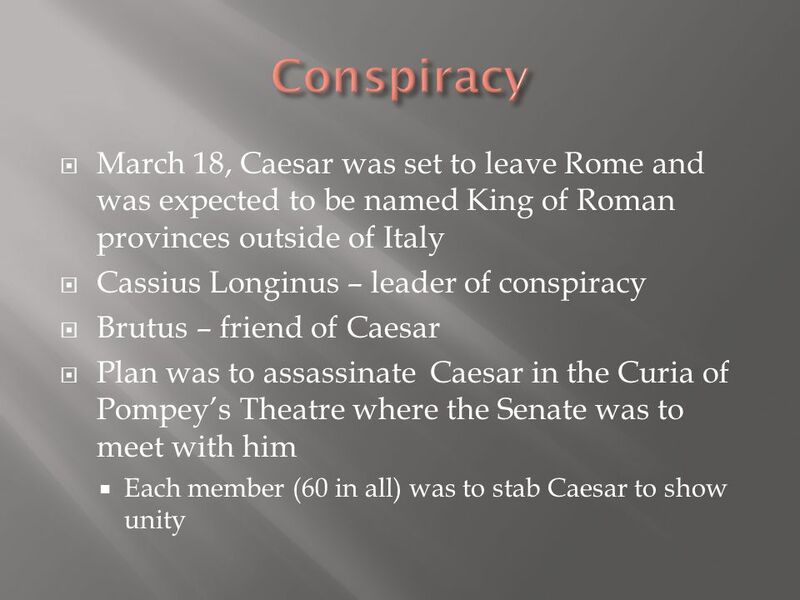 ESSENTIAL QUESTION What were the social groups of Rome? 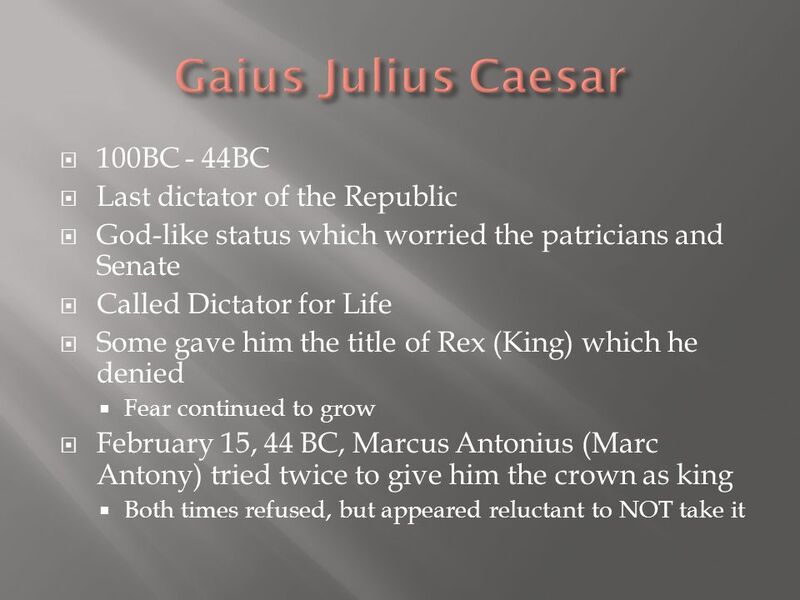 Key Terms – The Later Roman Empire Proletariat The Twelve Tables The Gracchi Brothers Marius Sulla Pompey Crassus the Rich Julius Caesar Brutus and Cassius. 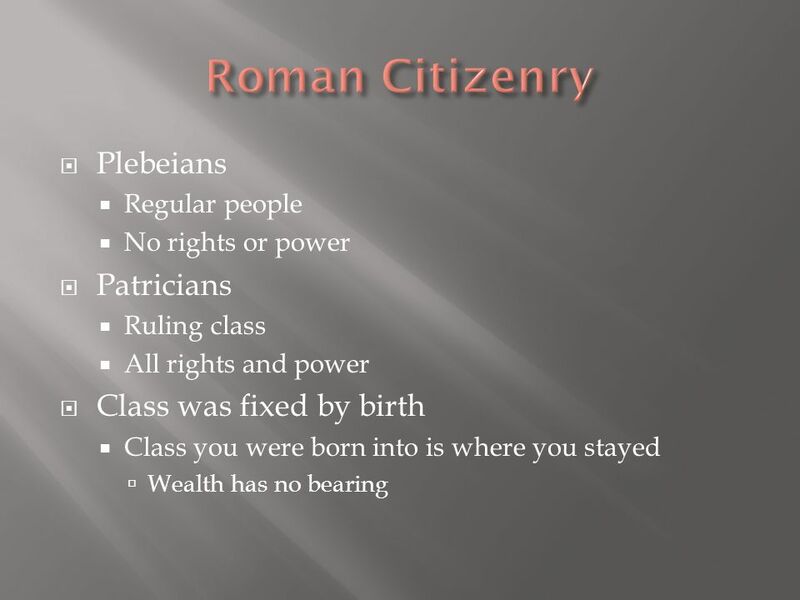 Roman Government & Laws Review. 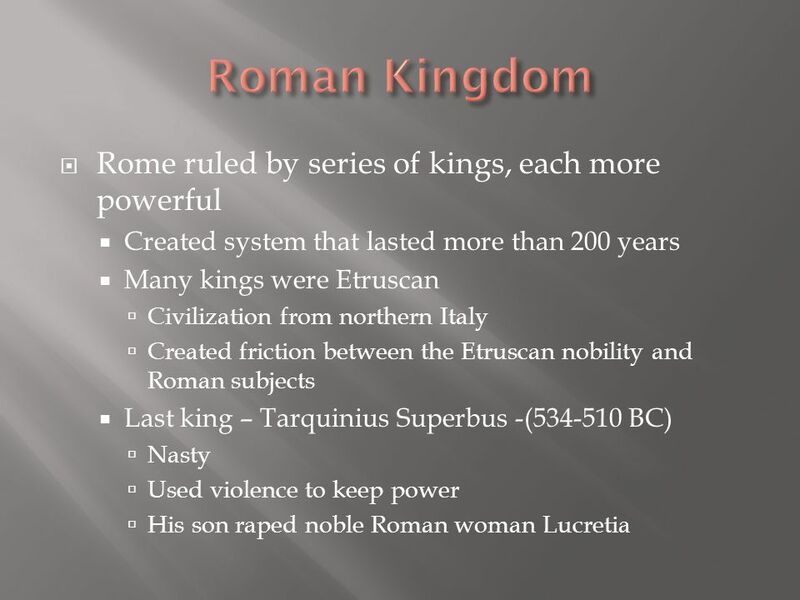 Roman Government Three Phases Roman Kingdom –753 to 509 BC How many years is this?__224_____ Roman Republic –509 to 27. 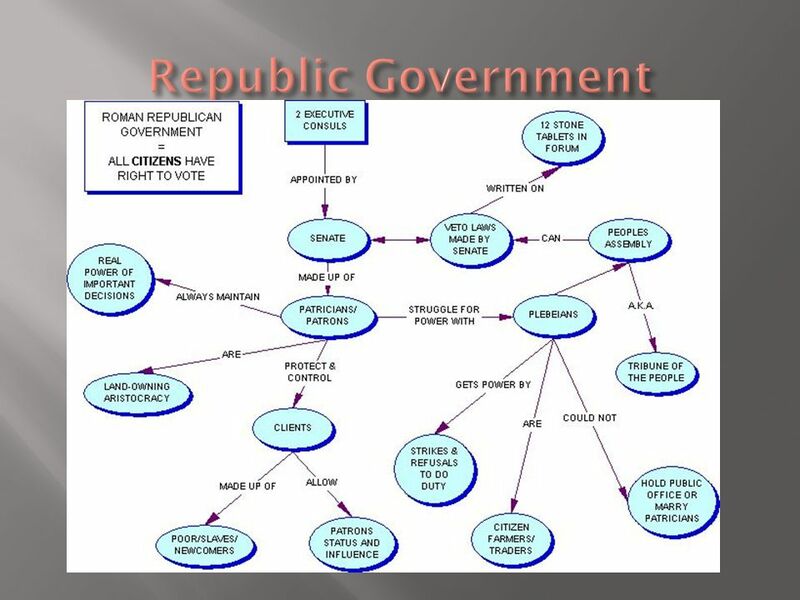 The Republic in Crisis. 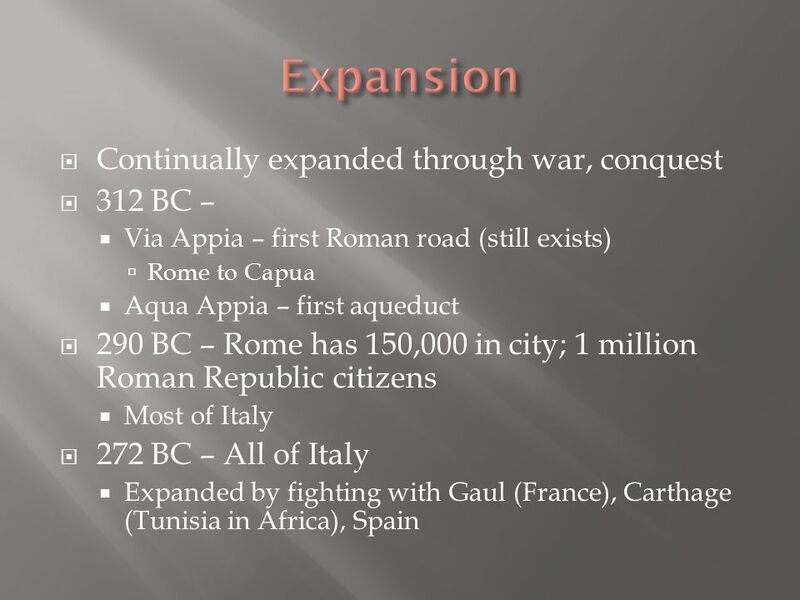 Roman triumphed militarily, but faced growing social problems Wealthy Romans took land from war- ravaged small farmers –Latifunidia. 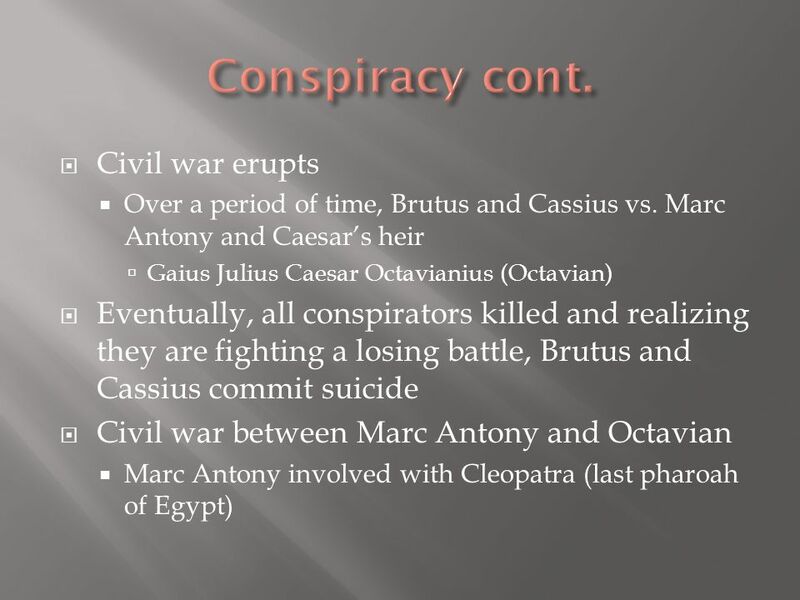 The Triumvirates and the Birth of an Empire Unit I Chapter 5 Section 2.